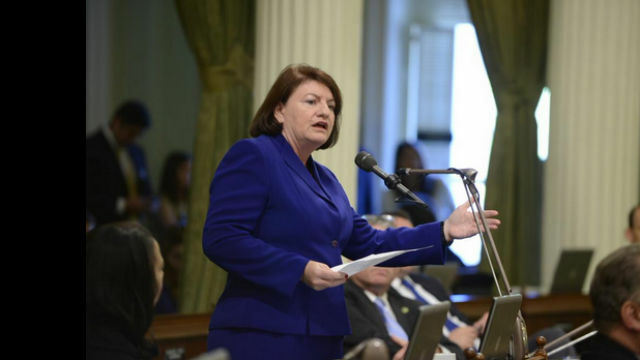 California Assembly Speaker Toni G. Atkins is pressing the federal government to budget for catastrophic wildfires the same way it does for earthquakes and hurricanes. Earlier this week she sponsored a resolution at the National Conference of State Legislatures authorizing the group to lobby Congress for this change. The resolution passed unanimously. “Every day, firefighters risk their lives to stop the spread of disastrous wildfires, while states and the federal government struggle to find funding to fight bigger and more dangerous wildfires on federal lands,” said Atkins, who represents the 78th District that covers coastal San Diego County from Solana Beach to the border. Natural disasters, such as earthquakes and hurricanes, are considered unpredictable and therefore classified as emergency spending and not subject to budget caps. Atkins’ resolution would seek to have catastrophic wildfires treated similarly. Atkins said changing the wildfire funding mechanism is crucial because the U.S. Forest Service has only has $174 million left for fire suppression in the current federal fiscal year.